Edward Burns: 10 Films That Inspired the Look of "Public Morals"
Most Iconic Scene from a Scorsese Movie? A recently widowed woman is on the road with her precocious young son, determined to make a new life for herself as a singer. During the Great Depression, a union leader and a young woman become criminals to exact revenge on the management of a railroad. A young man struggles with the fact that his girlfriend was once raped. Johnny Boy: So, I was in there, playin' bankers and brokers, all of the sudden, I'm ahead like six-seven hundred dollars. I'm really winnin'. All the sudden some kid walks in and the kid yells that the bulls are comin', right. Now that the cops are comin', everybody runs away,. Mean Streets(1973) begins with a voice over of the main protagonist and goes into the opening credits. The opening credits have a family home movie feel to it. That's one of the things that is enjoyable about the film. It has a documentary feel to it. The opening credits is memorable because of the song "Be My Baby" in it. Would be the first of many colorful opening credits in a Martin Scorsese picture. Mean Streets(1973) is a classic in independant Cinema. Its a guideline for people who want to make films on their own. Major influence for a whole generations of future film makers who would use similar motifs as this film. Mean Streets for some unknown reason didn't get nominated for any Ocsars at the Academy Awards for 1973. Mean Streets(1973) is the ultimate anti-Hollywood feature film. The cinematography is both breath taking and outstanding. One scene where the camera work stands out is when De Niro walks towards Keitel in slow motion with two women by his side. The director shows in this movie why he is great when it comes to imaginative and creative uses of the camera. The slow motion shot as well as the flowing moment of the camera would become a Scorsese trademark. Mean Streets(1973) is made of some good use by the grittiness of the cinematography. The theme of guilt plays an important role in the lives of the main character, Charlie. This theme was first explored in the director's debut called Who's That Knocking At My Door(1968). The theme of guilt would become one of the major motifs in the career of Martin Scorsese. The way that guilt is presented is almost autobiograpical. Some of the main characters feelings of guilt is probably based on the director's own take on the theme of guilt that he has felt in his life. This was the first great film in the long and illustrious career of the great Robert De Niro. It was as the romantic Johnny Boy in Mean Streets (1973) that the actor made his mark in the cinema. He plays a character not unlike the ones played by Joe Pesce in both Raging Bull(1980), Goodfellas(1990) as well as Casino(1995). Robert De Niro showed here that he had presence as an actor. 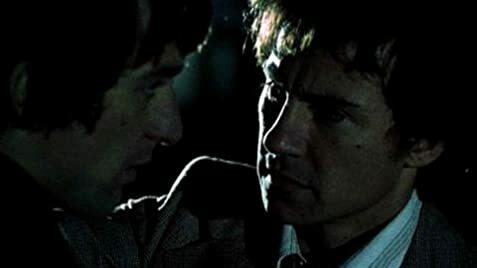 Mean Streets(1973) would be the beginning of a fruitful working relationship between actor and director. Was the film that brought recognization to the name of Martin Scorsese. Mean Streets(1973) was made at the sugestion of fellow filmmaker, John Cassavettes. Mean Streets(1973) was the start of a short but daring period that would end with the lousy box office results of New York, New York(1977). The movie showed that there was a new talent on the rise in Hollywood at that time. Martin Scorsese has moved on to other masterpieces since making The pic. Mean Streets(1973) differs from The Godfather(1973) in many ways. First, the former deals with mid level mafia while the latter deals upper level mafia. Second, Mean Streets takes a much more realistic apporach to life as a gangster. Third, The Godfather(1972) gives a romanticized look at the world organized crime. 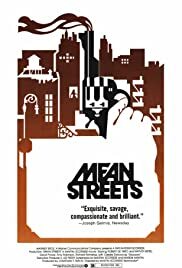 Finally, Mean Streets(1973) is somewhat based on the director's growing experiences in New York's Little Italy. Harvey Keitel is torn between loving and feeling repulsion for Johnny Boy's cousin Teresa because of her medical condition. The Madonna-Whore complex is another big motif in Mean Streets(1973). This motif would appear more explicitly in Taxi Driver(1976) and Raging Bull(1980). This theme first appeared in the film, Who's That Knocking at my Door(1968) and has been in every Scorsese film since. The Madonna-Whore complex also affects his feelings for a black dancer that he has a cruse on. Harvey Keitel is memorable in the role of Charlie. He's one of the best actors in Non Hollywood films. Has appeared in daring films such as Blue Collar(1978) and Bad Lieutient(1992). Keitel shows in this film that he is not afraid of tackling difficult roles that most actors would not take. He gives his greatest performance as the main character, Charlie. Martin Scorsese makes great use of pop music in this film. The music and the film's visuals make a perfect couple. My favorite scene in the film is when Johnny Boy tells off Michael who he owns money to with a funny line. Another favorite scene is the pool hall fight in the middle of the film. Mean Streets(1973) finishes on a note of redemption. 15 of 29 people found this review helpful. Was this review helpful to you?